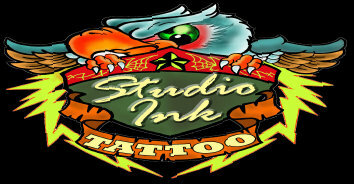 Chad sinkhorn has been the proud owner of Studio Ink Tattoo since 2001, He has been tattooing since the age 18. The love of art has grown for over 16 years now with many inspirational artist which are too many to list. In his career he has managed to become nationally and internationally recognized in magazines publications along with attending some of the best tattoo conventions, Hell City Arizona & Columbus OH, Detroit Motor City MI, Tattoo Jam in Doncaster England, Richmond tattoo arts Festival VA, Best of the Midwest Iowa, Fullmoon Tattoo and Horror In Nashville Tn. as well as many others. Chads artwork holds a strong composition. He strives for a Bold Very Colorful appearance from a distance.